The Association of Canadian Publishers welcomes the settlement of a copyright lawsuit in Canada, as the country’s 2012 Copyright Modernization Act undergoes parliamentary review. In a statement just released (June 21) by the Association of Canadian Publishers, it’s being announced that Québec’s Copibec lawsuit against Laval University has been resolved in what’s being described as an amicable settlement, now awaiting court approval. “Copibec and Université Laval have agreed to put an end to the legal dispute between them concerning copyright royalty management for the university’s teaching and research activities. “After holding discussions, the parties have reached an out-of-court settlement agreement that remains subject to court approval. The agreement’s specific terms and conditions will therefore not be made public until the court has had the opportunity to review the agreement. “This out-of-court settlement agreement was reached, without any admission whatsoever, in order for the parties to avoid substantial additional fees and expenses. They prefer to devote their efforts and resources to defending copyright as it relates to their respective missions. The Laval vs. Copibec case is, in a sense, the French-speaking counterpart to the much larger challenge to copyright protection in educational settings in English-language Canada, a crisis triggered there by the 2012 Copyright Modernization Act. In the Laval-Copibec scenario in Québec, the situation has been much more contained. Université Laval—which had failed to have the court in Montréal reject Copibec’s class-action, as we reported in November—was alleged to have infringed on copyright protections by claiming “fair dealing, or fair use, exemptions for educational institutions.” The university ended its licensing agreement with Copibec in 2014, which prompted the copyright collective to bring forward a lawsuit against the university on behalf of publishers and creators. As the publishers association’s media messaging today phrases it, “In place of the Copibec license, Laval had implemented its own copying guidelines, which are similar to those adopted by post-secondary and K-12 schools outside of Québec, including York University. “In hearing the case of Access Copyright v. York University [covered by Publishing Perspectives here], York’s copying guidelines were carefully examined by the federal court of Canada, which ruled in July 2017 that the guidelines are unfair and do not meet the supreme court’s test for fair dealing. “Despite clear guidance from the court, these guidelines remain in place in universities, colleges and schools outside of Québec, and the education sector continues to ignore mandatory tariffs set by the Copyright Board,” says the publishers association’s statement. Not surprisingly, the Association of Canadian publishers is saying that the Copibec-Laval settlement may bode well for a positive resolution of the crisis in English-language copyrighted educational content. In a prepared statement, Glenn Rollans, the publishers association president, is quoted, saying, “We are very encouraged by news of Copibec and Laval’s settlement, which shows that negotiation can lead to positive outcomes for both educators and rights holders, without the financial and other costs of litigation. In media messaging from Kate Edwards, the association’s executive director, we read, “ACP is optimistic that this settlement will motivate the Canadian education sector to return to collective licensing, which presents an economical, practical, efficient and fair way to ensure easy access to the whole world of copyright-protected works for instructors, researchers and students, while ensuring copyright holders are compensated. In January, Canada’s House of Commons launched a required five-year review of the 2012 Copyright Modernization Act, the first parliamentary review of the legislation that has been devastating to parts of the country’s publishing industry, prompting stark alarm in many parts of the world industry watching copyright being trampled in Canada. Where Ottawa’s Standing Committee on Industry, Science, and Technology will go with its review of the Copyright Modernization Act is something many in international book publishing are eager to learn. If the Canadian government doesn’t act to in some way amend the Copyright Modernization Act in order to protect copyrighted content against unpaid usage—particularly in that country’s highly respected educational sector—the signal sent to the rest of the world about copyright’s health in the digital age will be a dire one indeed. “Access Copyright applauds Copibec and Laval University on reaching a settlement agreement that, once approved by the courts, will deliver an amicable conclusion to litigation between the two organizations. “We are encouraged by the decision Copibec and Laval have made to resolve their differences surrounding content licensing and fair dealing. This will greatly benefit both professors and students, and Canadian creators and publishers by allowing access to content while ensuring fair compensation. “Copibec had filed a class action on behalf of creators and publishers against Laval University, which had ended its licensing relationship with Copibec in 2014 and instead, implemented fair dealing guidelines similar to those adopted by much of the education sector in Canada outside of Quebec, including York University. 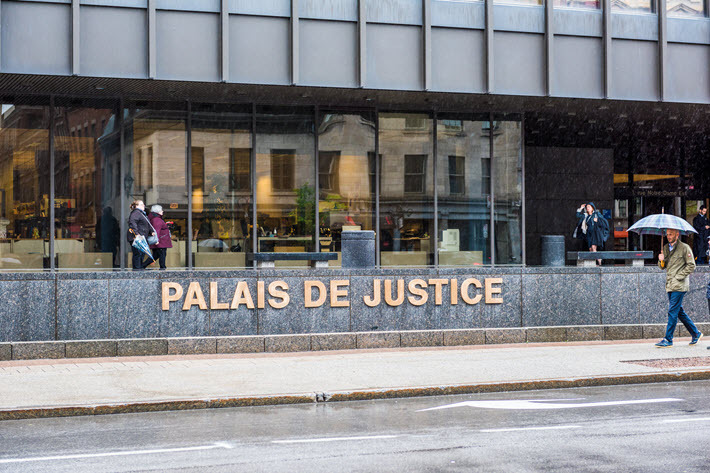 “The settlement reached between Copibec and Laval demonstrates that we can effectively come together and mend our differences, while avoiding the burden of the cost, time and resources of the court system,“ said Roanie Levy, Access Copyright’s CEO and president. More from Publishing Perspectives on Canada’s Copyright Modernization Act is here. And more on copyright in the wider world industry is here.